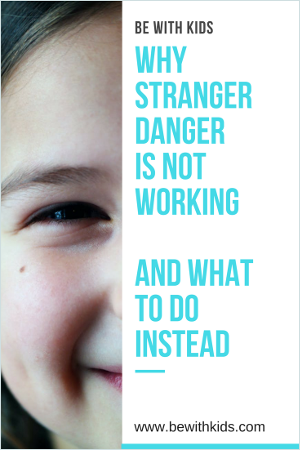 Why is the concept of ‘stranger danger’ (or “tricky people”) not working for teaching kids safety? “Who is this?” – he asked pointing at the person hiding behind a tree and holding candy. “Don’t talk to strangers” is an old-school rule sending confusing messages about safety to your child. Most products teaching kids safety are outdated. We need a modern system for teaching safety to our kids. "DO NOT talk to a stranger"
"DO NOT leave with a stranger"
Because kids do not understand who the stranger is! Is a stranger a man or a woman? Is he or she old, young, good-looking, or ugly? - Is a waiter a stranger? - What about the waiter we see regularly? - Is a teacher a stranger? - What about a volunteering parent escorting kids to the restrooms during a camp? - Is a friend of a dad a stranger too? - But, should I open the door to a dad’s colleague bringing some documents? Is he a friend, or just (maybe) working at the same company? What are the safety consequences? may not respond in a safe way. Why do strangers in films offer candy? Because most kids’ safety resources are outdated. In the past cities were small and strangers were odd. A stranger in a village was a big deal. But modern kids interact with strangers every day. What is your child thinking? - “Oh, a stranger is a mean, ugly person wearing a mafia-style hat and a mask. He is enticing a child with a candy from behind a tree. No good”. What does the child learn? What is the conclusion your child makes out of this video? - “But wait, I’ve got candy on Halloween and nothing bad happened. Mom is overreacting. I don’t think it’s dangerous”. Your child is not convinced strangers could be dangerous.
! Young kids understand the rules literally. - “It’s okay to go with a neighbor to get some cookies”. Because you didn’t specifically mention the neighbors and the cookies. ♥ How safe is your child? ♥ Do you want to improve his safety skills? 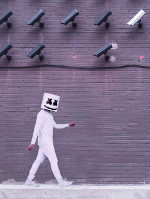 I also want a free course "Safety with strangers in a positive way"
"The questions of this test made me think of how many important topics my kids yet need to learn about safety. Thank you for bringing it to my attention"
What do your child need to know to be safe with strangers? Kids need to know a big picture while learning safety. 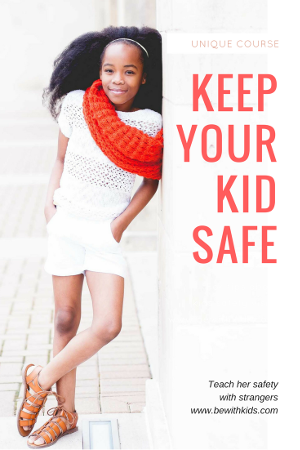 Do you want your child to be safe when you are not around? Do you want to teach kids to be safe in the situations you have never discussed? 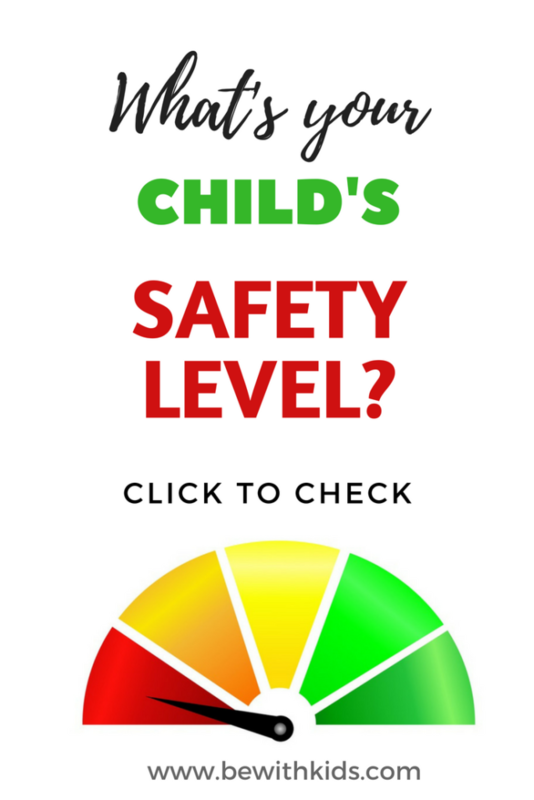 How can you help your child be safe? Wow this is a really helpful article. I know I’ll be reviewing it multiple times. Thank you so much! I work with parents whose children need extra help learning boundaries. This is a post worth sharing with them. Thanks! 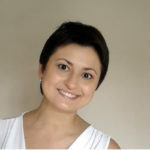 Hello Tereasa, glad to see you here and thank you for taking a moment to comment. We have an upcoming course about helping kids stand up for their boundaries in terms of safety. Feel free to subscribe to the updates to check it out when it’s available. We also will be talking more about this topic in the near future. I have definitely not thought about strangers from a child’s perspective before, but it makes total sense! One thing we’ve told the kids is if we don’t know someone’s name then they count as a stranger. My task now is to get my 4yo to stop opening the door to delivery men! My girls are incredibly friendly and we have a habit of calling everyone older than us Auntie and Uncle. It’s a Hawaiian thing and used to respect elders. So trying to fit in the concept of who are dangerous uncles and aunties versus safe is a little tricky. There are some good tips here that I’ll definitely be incorporating, thank you for making your advice so clear! Thank you for finding a moment to comment and for your kind words. Definitely, the edge between being polite and safe is so subtle for kids. That’s why we are working on both. Yes, I totally agree with you. That’s the reason we are teaching that levels of trust and levels of goodness are separate categories. Strangers may be super helpful and relatives may be unsafe. This was a good read and I will surely keep the pointers in mind while explaining concept of trust & strangers. It is a scary world and we must teach our kids so they know about safety and what to do to avoid getting into an unsafe situation.